Most of us are hooked to the internet especially that it could offer us everything we need from socializing to earning. It is the easiest form of communication, thus, reaching people from miles away. Also, it is the most effective way to showcase our business and to have as much client as we can. Well, everything goes online now. Even your business goes online. E-commerce or electronic commerce which is the buying of selling of products and services over the internet is today’s trend. And we would always want to be assured that our online businesses will be effective, efficient, operational and could give us a good revenue. Searching for the right e-commerce software for your business? You don’t have to go far, the answer is right here. Avactis of Pentasoft Corp, is an e-commerce software package which helps you open an online store and integrate it to your existing website. Anyone and everyone can benefit from Avactis for it can help sell various items from clothes to software. The online store consists of two parts, the client side and the administrator side. The client side is how most visitors view your site, providing them easier access to your products, place them into a shopping cart like the usual market shopping and pay through the different payment partners. It is so easy and simple to navigate that the visitors won’t spend a lot of time in online shopping. Your online store is surely user friendly. The administrator side helps you to monitor everything and do the usual “owner functions” like stocking products, having an inventory, tracking orders and receiving payments. Indeed, it is as easy as one, two and three. Wherever aspect we look at, may it be at the client or administrator side, it is still very convenient. Aside from that, Avactis can help you earn more through the price-based discounting, advanced newsletter management, quick checkout, gift certificates, and many more features that will surely keep your business running. 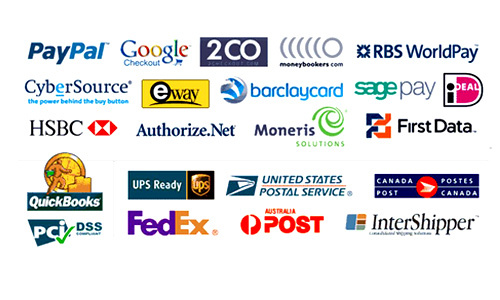 Another great feature of Avactis is their variety of payment and shipping systems that you could choose from. It can also help you look for one that suits your specifications. Isn’t that great? Aside from giving you lots of choices, it can still help you further. Avactis will actually do anything for your convenience. Avactis provides a SaaS (Software as a Service) e-commerce hosting solution wherein all data including Avactis license and free E-commerce support is given. It offers a free support wherein the credits will never expire . Support credit is a currency used to pay technical support which you may use whenever Avactis version you acquired . It also has daily backups for your site and data, free updates, and many more features that you will truly love. There are three types of hosting plan that you may choose from, the Basic, Standard and Professional. Each one gives different levels of service and has different pricing but all of them surely give a high quality of service. A quick launch of your online business is assured for it eliminated the taxing and strenuous process on the integration of an online store to your site. Avactis uses a simple yet highly structured design through a unique tag-based technology. You can make your own website design, buy one from other sites or from Avactis Marketplace. 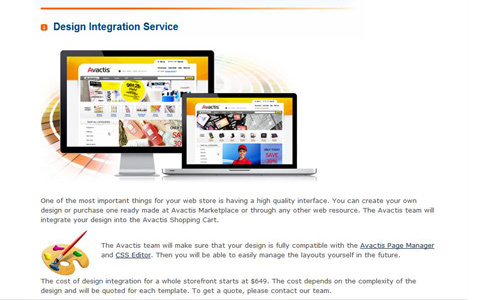 After that, Avactis Team will take charge in the integration of your site to the Avactis Shopping Cart. Another great service of Avactis is that it makes sure that your site is compatible with Avactis Page Manager and the CSS Editor for you to manage your site on your own in the future. Well, another good thing about Avactis is that it could customize whenever you ask for it. 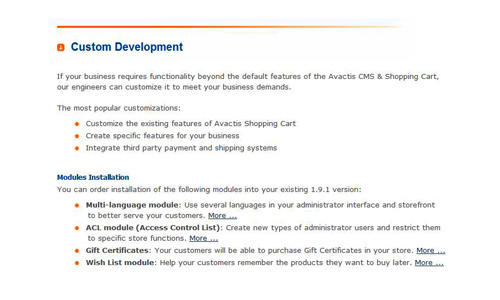 You may customize the features of the Avactis Shopping Cart, create specific features for your business, integrate third party payments and shipping systems or have various modules installed into it like the multi-language module, Access Control List Module, Gift Certificates and the Wish List Module. If other software doesn’t allow you to put some personal touch, Avactis does. Their engineers will surely be there to help you build your dream online store just the way you want it to be. Shop all you want from Avactis Marketplace. You may purchase latest products that will surely help your site. 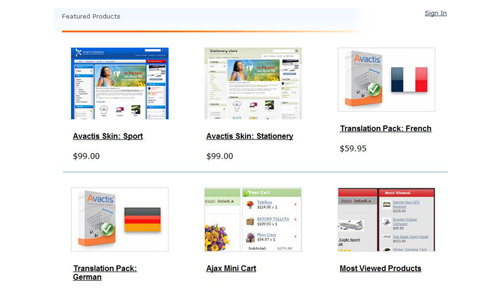 You may buy extensions like the Ajax Mini Cart wherein your customers could choose products and view those which they selected, third party modules like the Magic Zoom which could help display larger images, templates like the Avactis Skin Stationery and language packs that gives translations for French, German, Spanish and many more. You really don’t have to go far ‘coz Avactis have it all ready for you. What makes Avactis truly unique is that it also gives an opportunity for designers to earn. Designers may submit their works to them and the Avactis team will include it in the marketplace and sell it to its clients. This is good news to all web designers out there. This is indeed another great opportunity to showcase your talent and to develop revenue. 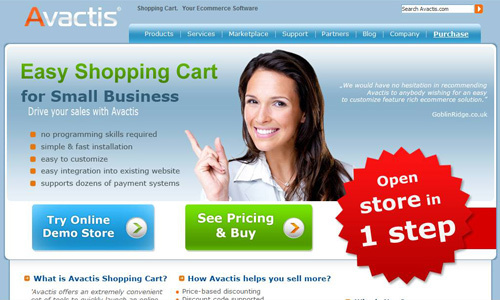 Avactis Shopping Cart could be the answer to all your worries in building your own online business. You may try a free shopping cart with no time limit, no credit card required, open source code and easy to upgrade to the full version without losing any data. Why not give it a try now? 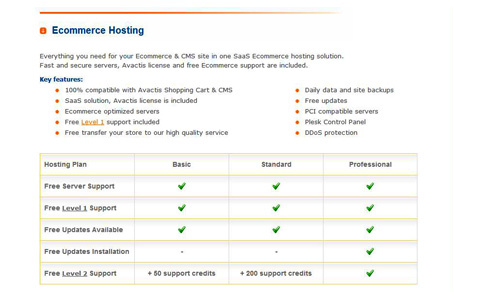 Avactis is a great mid-range ecommerce platform, our company have it as a regular special offer. Its “tag system” makes it very suitable for custom designs. It’s pretty easy to develop with once you get to grips with, not quite so mind bending as some ecommerce systems! Drawing the Line – Inspiration or Plagiarism?